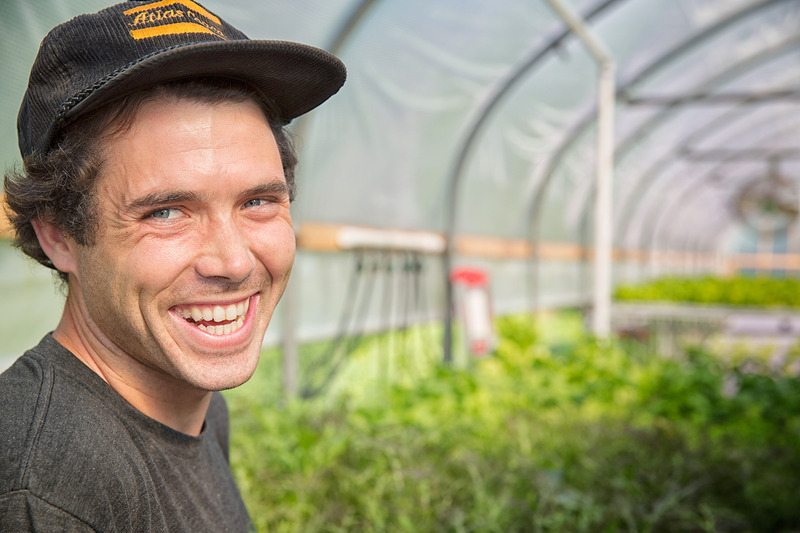 Portrait of St. Michael's College Vermont alumni who created an aquaponics farm in Maine as photographed by Kevin Brusie. Fluid Farms for St. Michael's College, Vt. Fish Farms Aquaponics Editorial photography.